In the United States, students who learn to speak, read, and write well in English improve their chances for success in all other areas of the classroom. English Language Learners (ELLS) are the fastest growing school-age population in the United States, and are projected to account for 25 percent of the student enrollment by 2025, up from 10 percent in 2015. Instead of labeling ELL students as disadvantaged or disabled, it’s better to think of them as emerging bilinguals or multilinguals, who can use biliteracy as a stepping stone to success. 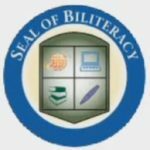 Recognizing this, 36 states now award a Seal of Biliteracy on a high school diploma to graduates who are bilingual. So what’s the best way to help students succeed? One way to help is by providing language frames, or “fill in the blank” sentences. These are available through a variety of sources on the Internet, and the article, “Scaffolds to Support English Language Learners in Writing and Discussion” on AchieveTheCore.org is a helpful place to start. But research shows that speaking a language is the most effective way to learn it, because the speaker must 1) think about what to say and how to say it, 2) actually speak the words, and 3) hear a response and consider what it means. Unfortunately, many ELLs are self-conscious about speaking in class. For this reason, educational technology can be a real boon, providing students computer-aided English language instruction and speech practice which students will feel assured is judgment-free. In a controlled study with eight schools in which 98 percent of the population spoke only Spanish at home, those with computer-aided English instruction progressed significantly better than those without this help. See “Speaking is the Solution: Effective Ways to Support EL Students” on edWeb.net for information about ELL research and tips for supporting ELLs. What program you use is up to you, but whatever you choose, an important feature is speech recognition. so the student can get feedback on pronunciation. See this review from PC Magazine on the Best Language-Learning Software for 2019. The article is good but is mistaken in its assertion that the leading programs such as Duolingo and Rosetta Stone do not offer English language instruction — they do. See also the valuable article 8 Free Edtech Apps for ELL/ESL Alternate Route Teachers by Rutgers Graduate School of Education. However you proceed, do not feel discouraged if the student’s family does not speak English at home. The better that students can read and write in their first language, the easier it will be for them to learn how to read and write in English. Tagged apps, ELL/ESL, games for learning, reading. Bookmark the permalink.